£218 Includes all ingredients and materials. Four days making delicious and nutritious food to share with your family. Learn invaluable skills which will last a lifetime and produce tasty dishes to impress. three savoury dishes and one cake or dessert. Half of each day is spent cooking and the other half working on a fun craft project. 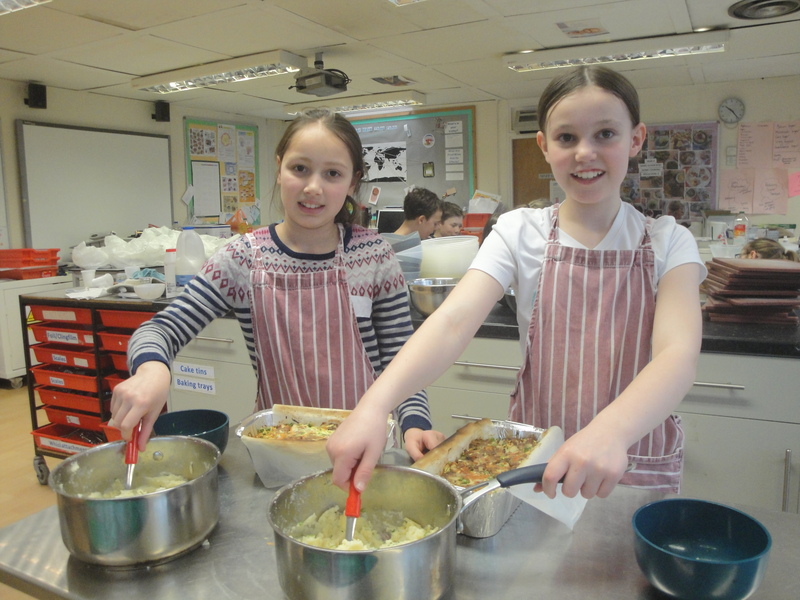 In addition each student will make a special folder to keep recipes from this course. Let us know at the time of booking of any special dietary requirements (eg vegetarian) so that we can accommodate. Helen Gale has almost thirty year’s experience of teaching Food and Catering in Secondary and Further Education. She is passionate about Food and enjoys passing on the skills and knowledge of the subject to all ages. The teachers were great and course content was good. The food produced was delicious and the twins really enjoyed it. Convenient location, accessible with easy parking. Impeccable course organisation from booking to course delivery. Fabulous, well taught, left a deep impression and desire to create more cookery creations. Brilliant- loads to do and develop such great independent skills- she tries food she would never would eat at home! 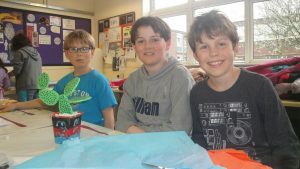 Ben really enjoyed cookery and craft content and has been really inspired to continue to cook. We were truly shocked at the amount of food Jo was bringing home. A very worthwhile course, we will be enrolling on it again.